Rev. Joe Williams, 73, watches over the neighborhood from his porch, a daily activity, with his great-grandsons Eric Porter, 3, left, and Charlie Porter, 4. The boys, and their older brother, have lived with Williams since 2008 when they witnessed their mother get shot and killed by her friend's ex-boyfriend. 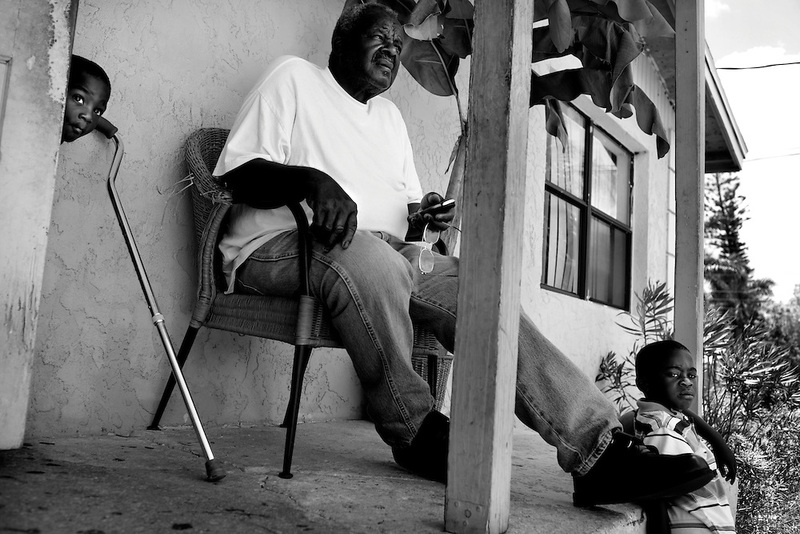 Williams has lived in his home since 1963 and raised several of his grandchildren. He jokes that he sits on the porch with the phone in his hand so he can call the cops if anyone starts "aggravatin'" him.